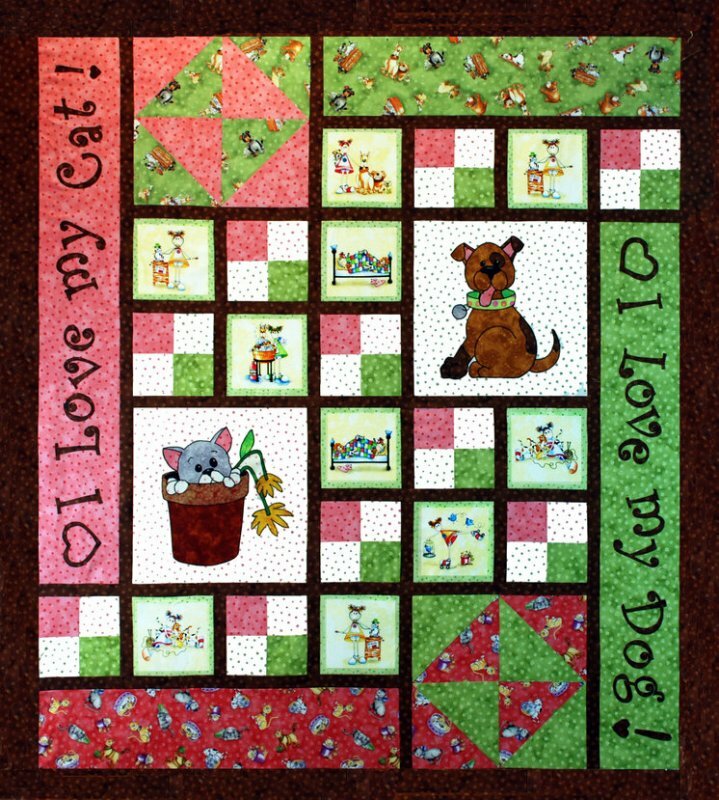 This pet lover quilt is so cute, using both fusible appliqué and piecing to create a fun, animal lover friendly quilt. Choose your favorite animal fabric and fill up the boxes then the appliqué brings it all to life. Easy and fun Approx. 54" x 61"